Dealerstar automatically integrates with third-party systems to provide you with the agility, time and ability to produce more. CarFax Dealerships using the DealerStar DMS can easily join the myCarfax Service Shop program and take advantage of free resources like Carfax Service History Check and Carfax QuickVIN. Carfax Service History Check shows a vehicle's reported maintenance history. Armed with this information, service technicians can make better service recommendations to their customers which, when combined with other myCarfax benefits like Carfax QuickVIN, helps avoid parts-ordering errors, increases ticket averages and ultimately, fixed ops revenues. PartsEye PartsEye is a unique, innovative web based inventory planning and management system. It is an outsourced service that assists the parts manager in their daily work. PartsEye works for dealers of all sizes by providing optimized parts inventory levels based on each dealer’s individual criteria. By providing suggested stock orders based on sales history, demand analysis and the SmartCast forecasting tool, PartsEye quickly optimizes the parts inventory to maximize order fill at the lowest possible cost. 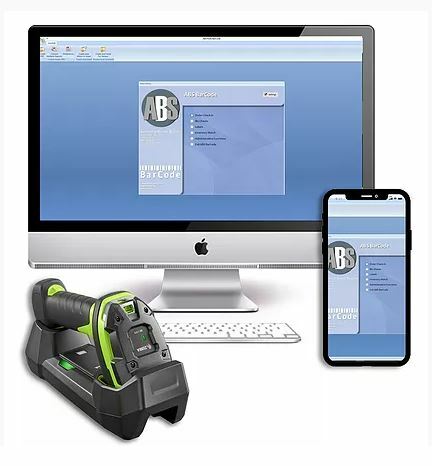 ABS Parts and Vehicle Scanning State-of-the-art wireless technology with barcode scanning and printing equipment provides the tools to reduce cost, save time, and improve data accuracy in your automotive dealerships. AutoPoint - MPI AutoPoint’s Inspections tool pioneered the electronic inspection process and made that level of consistency possible. bridgeSpeakprovides leading edge technologies to integrate your communications systems with your data systems. This enables you to leverage existing investments you’ve already made in your phone and data systems and frees you from endless service fees. TriVIN provides products and services that improve the accuracy and efficiency of motor vehicle registration and titling and lien and title management. Process vehicles in-house, online, and in real time with . . . triVIN's Online Registration System (OLRS) (currently available in ten states: CA, CT, MD, NC, NJ, NY, OH, PA, VA, and WI). CIMA Systems provides the industry's most advanced customer-communications technology, enabling dealerships to easily and affordably improve customer and prospect communications. idScan for driver license is the only driver license card reader that can truly extract text and read all 50 US states driver licenses. Extract both data and images, Automatic state detection, Automatic card detection and scanning, Use the three technologies for verification of ID cards authenticity. FastPic Inventory Management Software is the solution that makes automated storage and retrieval products more powerful and more intelligent than ever before. Written and produced by our in-house staff of material handling software engineers, FastPic can help to dramatically increase your business's productivity.